Parking is at SK27737 80584 off Hathersage Road at Blacka Moor nature reserve. From here follow the obvious track, don't take the path through the wall into the woodland. Where you'll see a signpost and two old stone gateposts, follow the track round to the left (signposted ringinglow) where you'll soon reach another gate, go through this and you're just about there. From the gate start counting your steps, it's 125 to the spot where you need to go off the track to your right. Strawberry Lea is around 20 - 25 metres onto the moor heading down hill. On my last visit i placed a pile of rocks at the base of a tree showing where you need to head off the path. 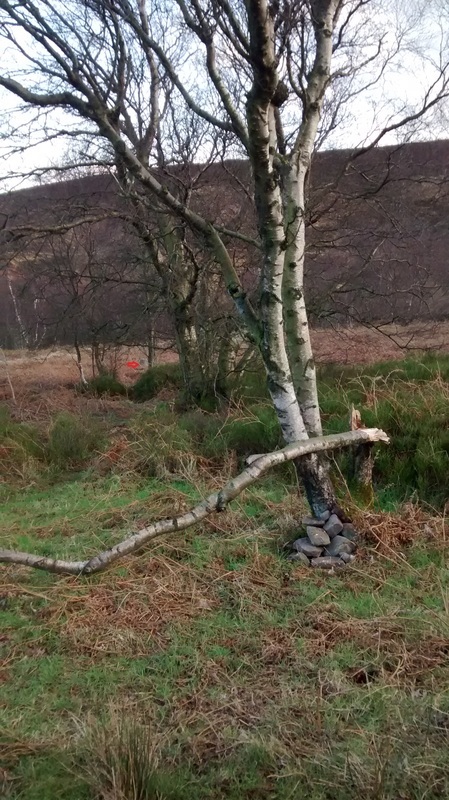 This tree lines up with 2-3 others heading downhill which are in a direct line to the ringcairn. 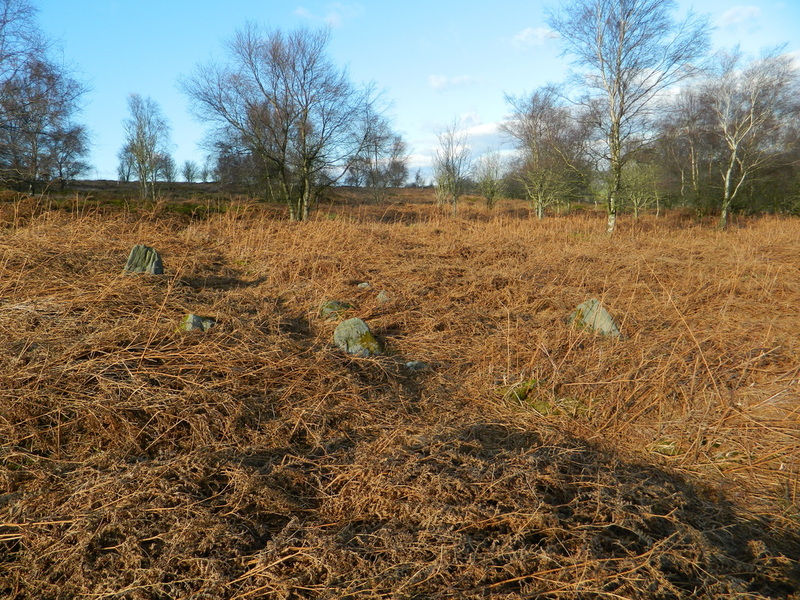 I'd strongly suggest you visit this site in winter after the bracken has died back, it's almost impossible to find in summer due to the bracken which can reach shoulder height. The ringcairns tallest stone being only waist high. There's a gpx file of the route available to download at the bottom of the page. Showing the arc of four stones with the stones of a possible cist in the centre. 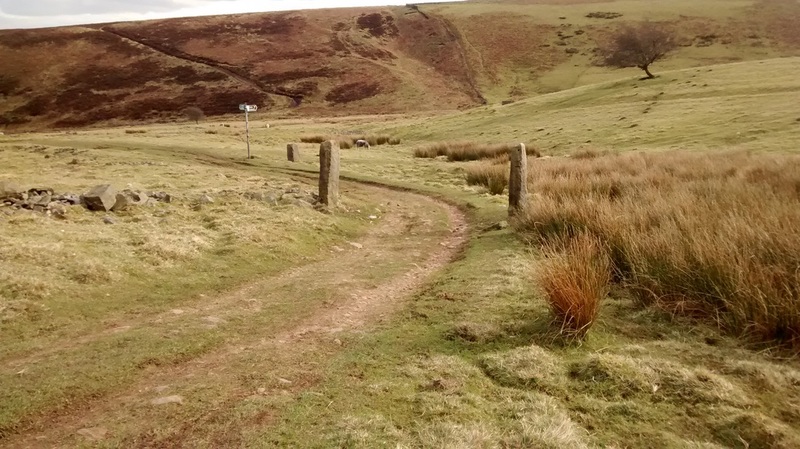 After you've passed through the first gate and headed down hill you'll see the gate posts and the sign where the path curves round to the left. The second gate is just a few meters further along. Largest stone visible from the path.